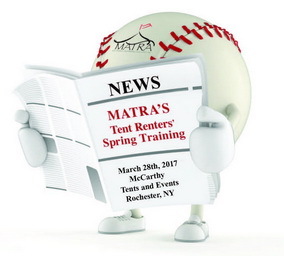 McCarthy Tents & Events LLC will serve as host for our 2017 Spring Training educational sessions on Tuesday, March 28th from 8:30-3:30 p.m. at their facility in Rochester, NY. Founded in 2007 as a full-service tent and event rental business, they relocated to their new 21,000 square foot headquarters in 2016. Registration is open! Please read more about the sessions that will be offered below! Early bird registration closes on March 10th. Don't miss this great educational opportunity! Diversity is a term you hear often these days. Big corporations have goals for diversity...diversity in ethnicity, religion and most importantly life and professional experiences. Bringing these fresh perspectives to an organization can move the needle incrementally in productivity and creativity. Different experiences and views of the world collectively combine to better the organization as a whole. All MATRA Memberships expired in January 2017. You can pay online through the MATRA website. If you have any changes in your company information, please adjust on your profile page as soon as possible! As the main identity of MATRA, we ask that all current/active members use the proper logo on all promotions and collateral materials advertising membership in MATRA. Click here for logo usage rules and regulations. "In a Tenting State of Mind..."
The "Show for the Tent Professional 2016" was hosted by a brand new venue this year, the Long Island Marriott, located in Uniondale, New York. The weather was great for the entire week - only a little rain on Wednesday and no rain for Thursday takedown - quite unusual for The Tent Show! 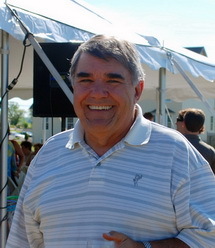 Well over 600 attendees gathered during the four day conference beginning with all tent installations completed on Monday and ending with the Conference's traditional Thursday morning brunch. This Conference was among our highest attended! As a member of MATRA, we are, once again, offering Scholarships for the 2017-2018 academic year. We are pleased to announce that TWO (2) academic scholarships, in the amount of $2,500 each, will be awarded to a full time university, college or technical school/community student entering their sophomore year or higher. Applications with supporting documentation are due on or before April 3, 2017. Award recipients will be notified on or before May 15, 2017. Just download the MATRA Scholarship Application. Complete the form, attached required documents and return to the MATRA office on or before April 3, 2017. Eligibility requirements are located on the Scholarship Application.